Drag racing is the essence among American muscle car enthusiast. However, the victory depends of many factors; the most common is the powerful engine, traction and the driver of course. 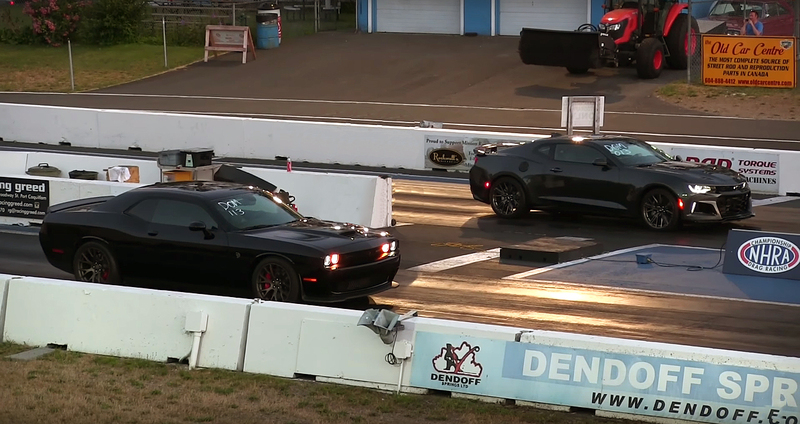 Today we have a perfect situation that shows the difference between the Demon vs Hellcat, at the drag strip. 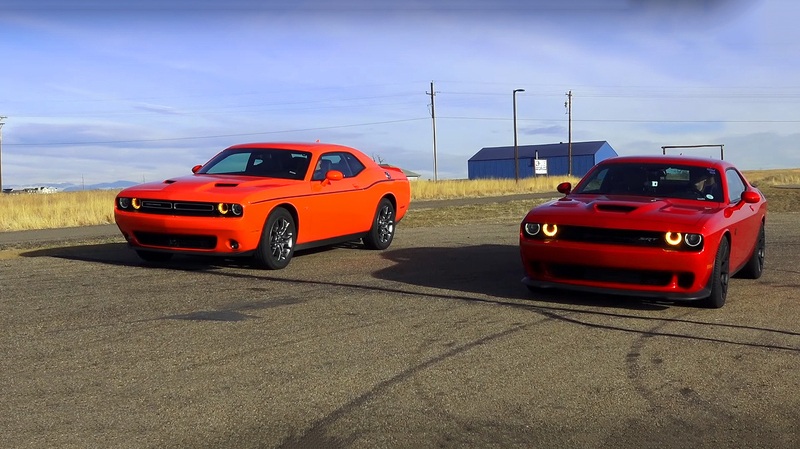 Just for the record, the Hellcat it has 707 horsepower and 650 lb. -ft. Of torque, while the Demon has 840 horsepower and 770 lb. -Ft. Of torque, 133 horsepower and 120 lb. -ft. Of torque more. Although these are far from the perfect 1/4 mile times, it only shows how much more powerful the Demon is. Enjoy the race! 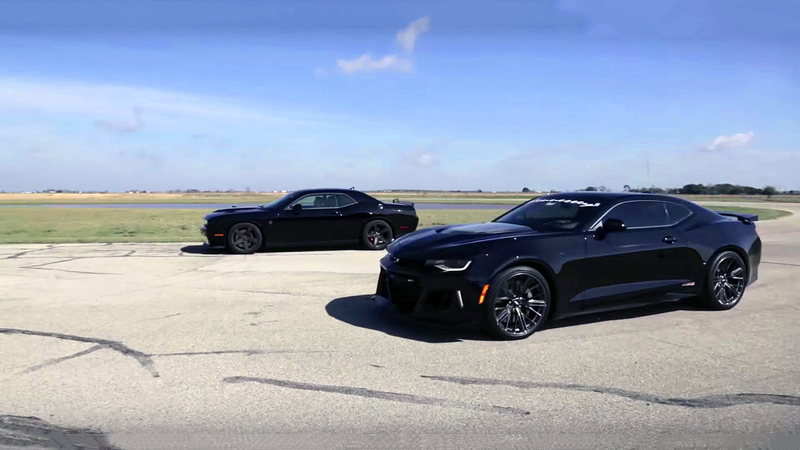 Demon vs Hellcat –1/4 Mile Drag Race !! !